The following are links to kindred societies, associations and entities around the world. Particular attention should be paid to the first three – each publishes a periodical worthy of reading, and maintains archives of these periodicals on their website. Where the content of a site covers one or more categories, we have attempted to categorise it under its main function. Golf Society of Australia – Researching and preserving the history of golf in Australia. British Golf Collectors Society – Promoting interest in the traditions and history of golf. Society of Hickory Golfers – dedicated to the enjoyment of play with wooden-shafted golf clubs in the U.S.. The U.S. Golf Collectors Society – an international organization dedicated to preserving the treasures and traditions of the game of golf. British Golf Museum – the world’s premier heritage centre for golf (their words, not mine). 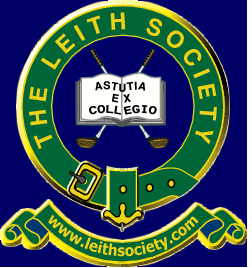 The Leith Society – derives its name from “The Leith Code”, the traditional name of the first known written rules of golf. Golf Historical Society of Canada – We know about hickory golf clubs . . . We play with them . .We collect them . . . We learn about them . . .
Students of the game in Australia in the late nineteenth and early twentieth centuries will recognise a lot of names on these pages. European Association of Golf Historians and Collectors – or l’Association Europeene des Historiens & Collectionneurs de golf. The Royal Australian Historical Society (RAHS), Australia’s oldest historical organisation founded in Sydney in 1901, exists to encourage the study of and interest in Australian history. history of the golf ball. World Hickory Open Championship – the 2015 edition of the competition. World Association of Left Handed Golfers – site run by long-standing AGHS member Peter Read, and dedicated to those who stand on the right side of the ball.